Reach Mobile’s Allure smartphone get a successor – Allure+. Priced at Rs. 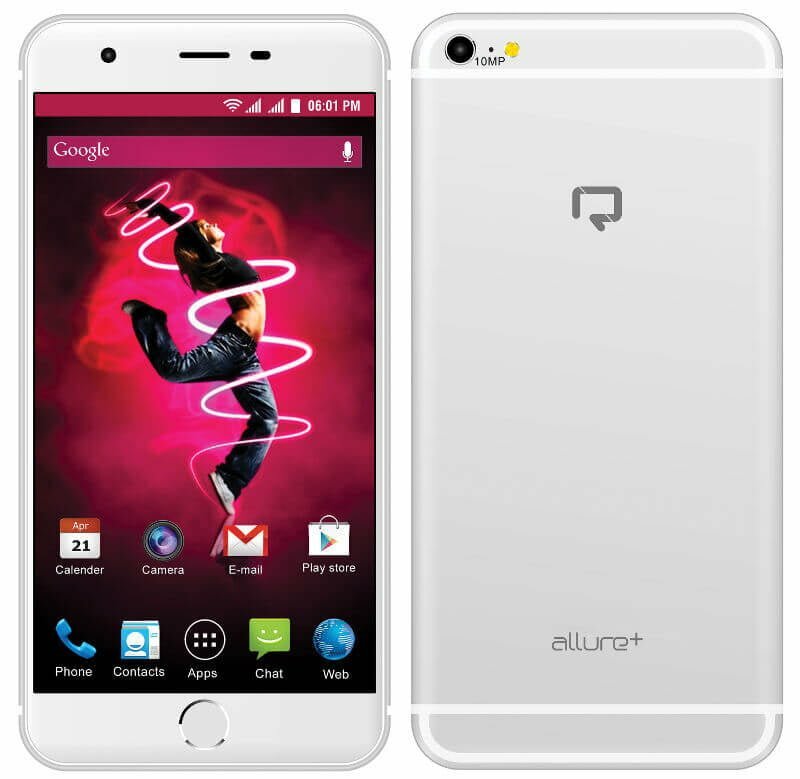 5,444, Reach Allure+ is a dual-SIM 4G smartphone that features a 5.5-inch QHD IPS display. In terms of design, it looks a lot like Apple’s iPhone 6 Plus. The Allure+ comes powered by a 1.3GHz quad-core processor paired with 1GB of RAM. On the software front, it runs Android 5.1 Lolipop and bears 8GB of internal storage, expandable up to 32GB via microSD card. It houses a 10MP primary camera and 5MP front-facing camera with photo enhancement features such as Touch Focus, Panorama, Optical Image Stabilisation (OIS), HDR, Face Beauty mode and Smile detection. The phone is charged by a removable 2600 mAh lithium-ion battery, which promises a 200 hours standby time and 7 hours of talk time. The device also sports a Proximity Sensor and a G-Sensor for an intensified user experience. In terms of connectivity, Reach Allure+ comes with support for 4G LTE FDMA/TDMA, 3G WCDMA 2100 MHz, Wi-Fi, Bluetooth 4.1 and an audio jack of 3.5mm. FM, Multi-language support, Google Search, Maps, Calendar, Calculator, etc. are also integrated into this smartphone. Sold via the marketplace ShopClues’, Reach Allure+ comes in three color variants — Silver, Pink, and Golden. It is covered with a manufacturer’s warranty of 1 year and a free flip cover as well. ShopClues customers can also avail the EMI option on Reach Allure+ start from Rs. 487. This mobile is better in this range ??? ?